If you fancy all things medieval, here are my favorite places for immersion in the Middle Ages. 1. Assisi. You walk through an entire town of 13th and 14th century buildings until you come to St. Francis’ Basilica. Giotto painted scenes from his life on its walls with far more realism than any European painter had created. You see people praying, kissing, crying–you might forget the century you’re in. 2. Regensburg, Germany. This town by the Danube has the largest collection of 13th century buildings in Germany. It’s most atmospheric when you view it from the island in the middle of the river in the evening. 3. 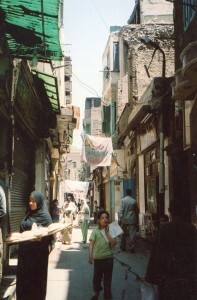 Cairo’s medieval section. 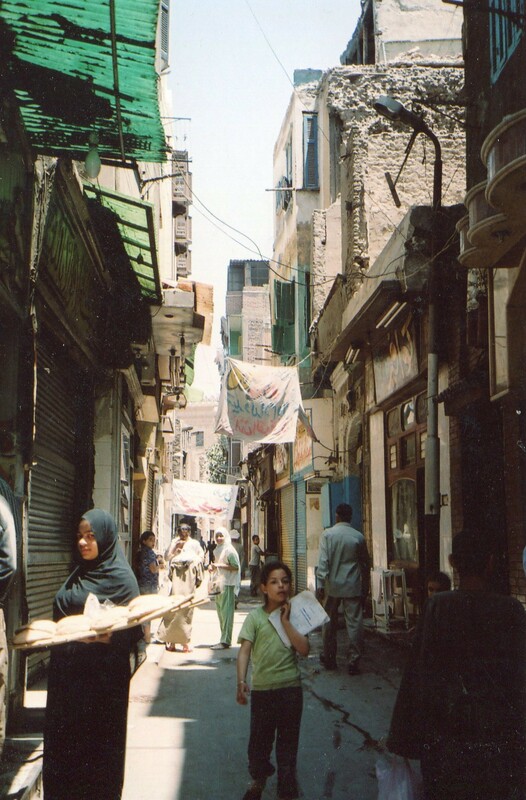 Cairo had a population of 500,000 in the fifteenth century. No European city west of Byzantium came close. Lots of Mosques are well preserved, and they’re surrounded by winding alleys. It’s very easy to get lost there. 4. Chartres, France. The cathedral has Gothic architecture’s best preserved system of stained-glass windows and sculptures. 5. Avignon, France. The old Papal Palace is amazingly well-preserved. 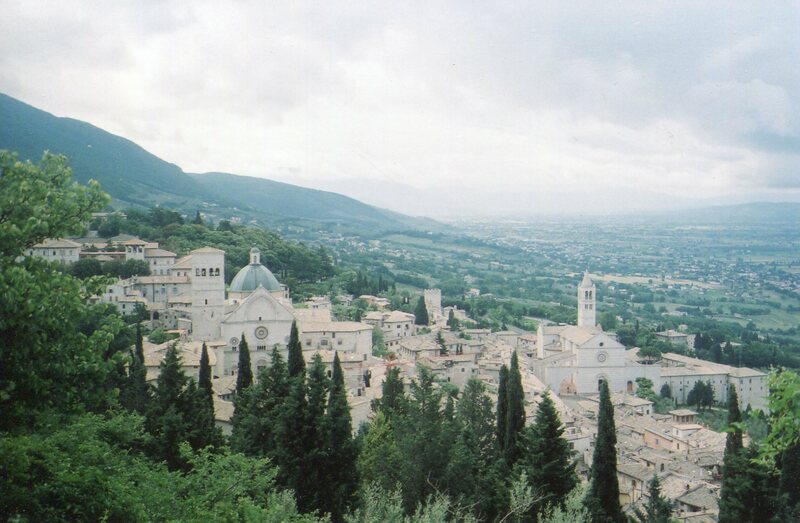 The town it looks down on is equally atmospheric–full of narrow winding streets. Across the river is the smaller town, Ville Neuve, with a monastery that’s equally immersive. You can head back to Avignon at sunset–the sight of the castle looming over the river is unforgettable. 6. Mystras, Greece. This was a Byzantine capital from the thirteenth century to the fifteenth. It climbs a hill, and contains merchants’ homes, lots of churches with wall paintings, a huge royal palace, and a castle that crowns the hill and looks towards snow-capped mountains. 7. Bruges, Belgium. It lives up to its reputation as a city of wealthy merchants. The number of large homes is stunning. A lot of tourists go there though–chocolate shops abound. It’s still well worth seeing. Bruges was the main place where northern realistic painting emerged in the fifteenth century. Museums have paintings of people that can make you feel like you’re looking at a picture. 8. 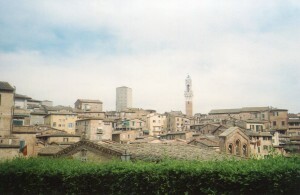 Sienna, Italy. Some streets are full of tourists, but you can wander many others, and you’re practically back in the fifteenth century. 9. Rothenberg, Germany. So well preserved that you might feel like you’re in a fairy tale. 40% of it was bombed during WWII, but it was meticulously reconstructed. The center of town is more sixteenth century, with tall homes with Renaissance frontages that were in style in southern Germany at that time–Alpine apings of Venice. But many homes around this area are older. The city is also more strict than Regensberg is about allowing people to modify buildings. 10. Musee de Cluny, Paris. Paris was Europe’s leading cultural center in the thirteenth century. This museum houses lots of treasures from the time, and it’s a medieval building. It was built in the fifteenth century as the residence of the abbots of Cluniac Order. It also includes the ancient Roman bath house. A medieval musical ensemble was practicing inside while I was there. So all my senses were immersed. It has a famous set of tapestries that portray the five senses. It’s one of the most elegant works of Gothic art I’ve ever seen. The museum also has a store with a CD collection–you can take the age home with you. 11. Strasbourg, France. This city was renowned for beauty in the Middle Ages, with lots of canals that reminded people of Venice. Many of the homes look reconstructed, but the Gothic cathedral is one of Europe’s best, and there’s a large museum just south of it. It’s a consolidation of two homes, one from the 14th century, and the other from the 16th. You can sit in its authentic garden. The wealthy savored retreats like this. 12. York, England. I haven’t had a chance to go there, but I’ve read that it’s very well preserved.